Shipping Dimensions: 10" x 10" x 4.5"
Set of 15 pieces includes two-piece paddlewheel launcher, two launch balls, five X blocks, one ramp, one goal cup, two-piece hoop target, sheet of decorative stickers, and full-color booklet featuring challenges. 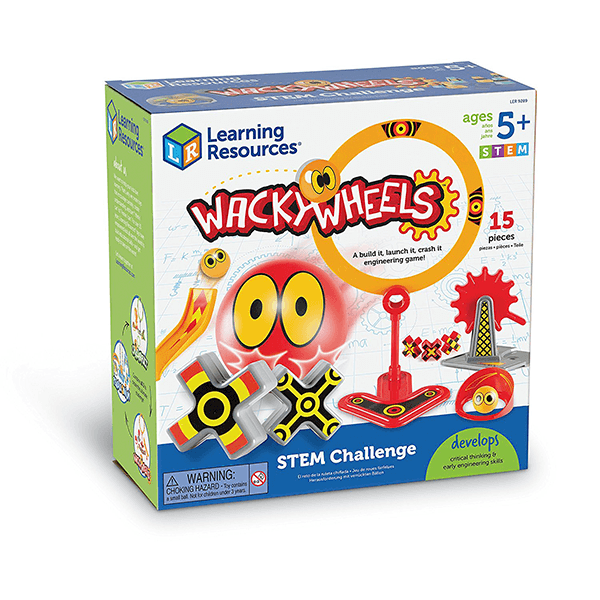 Get a fast and fun introduction to speed, angles and distances with the Wacky Wheels STEM Challenge Set. 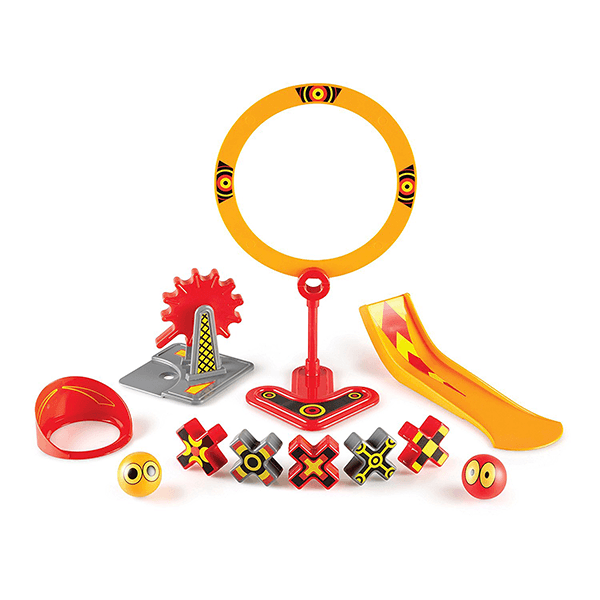 Using trial and error, your child will learn how to launch balls up and down ramps, over obstacles, through hoops and more. They will learn various things such as how to tweak course setups, launch with precision speed and get a successful track and result.